We recently went on an Alaskan Cruise to Alaska’s inside passage (round trip from Seattle) as guests of Princess Cruises. It was our first cruise and we were excited to see Alaska! We had a blast but I definitely learned some things that I wanted to share with you! 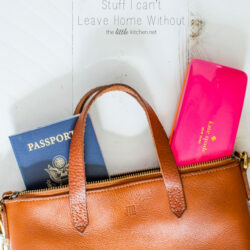 That means excursions as well as every day. Princess Cruises’ tagline is #ComeBackNew and you won’t come back new if you just go go go all the time. Make sure you schedule in some downtime if you absolutely have to schedule every hour of your day. 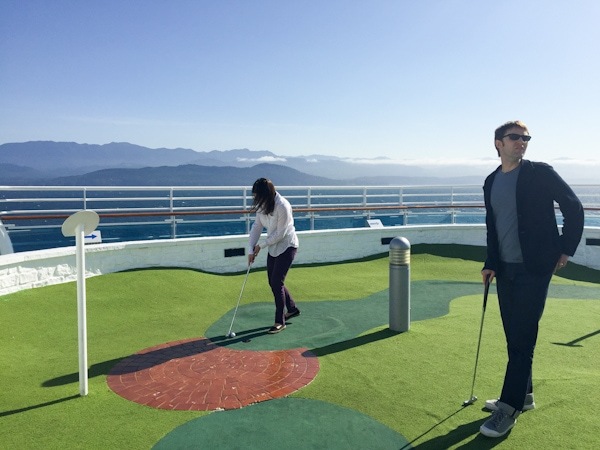 We took the time to just relax, play mini golf near the top deck (look at that view!) 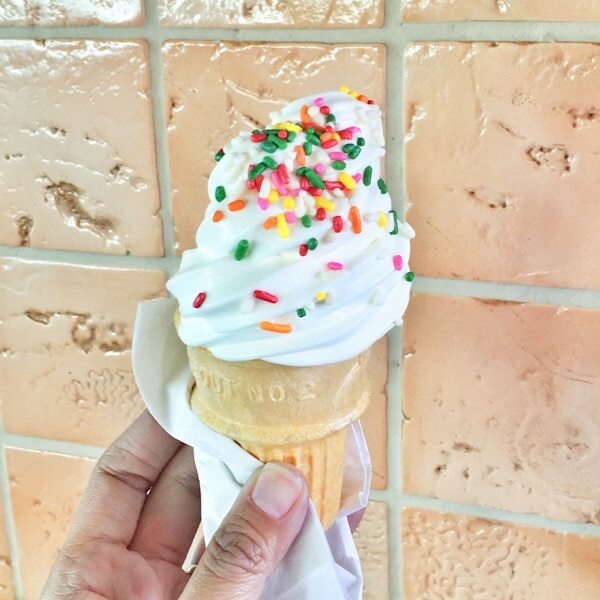 and have some soft serve ice cream too. 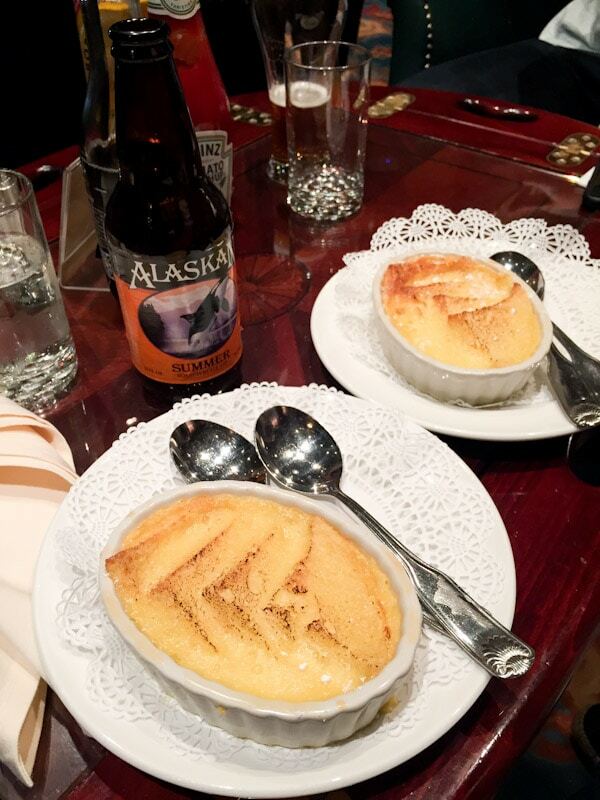 When we were in Ketchikan, Alaska, our tour guide told us to not miss the spruce tip ale in Skagway. So glad I looked up places on my Yelp app and found Skagway Brewing Company. 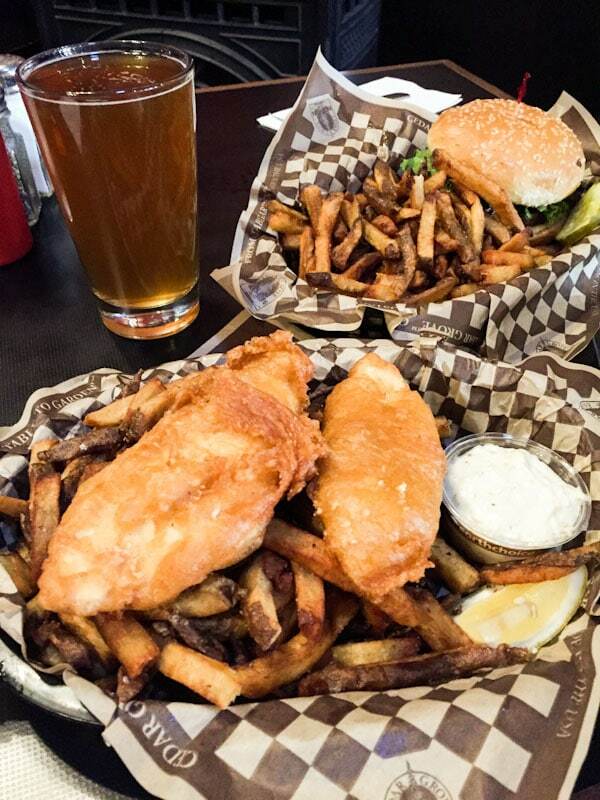 Their fish and chips were amazing and Curtis LOVED the spruce tip ale. He even bought a souvenir pint glass. I love using Yelp but I have an internal formula that I use because let’s be honest, some people only say something when they want to complain. So I weigh the negative comments along with the positive and see how many stars they have in relation to how many reviews there are. That’s why I say use Yelp with a grain of salt. In Juneau, we found the cutest best post office I have ever seen called Kindred Post. I bought a t-shirt and some postcards and left without buying half the store (I really wanted to!). I even follow them on instagram now because I just love all of the stuff they carry. We actually asked them for recommendations for shops and they told us about the Sealaska Heritage Institute and their gift shop. We were looking for native and Alaska-made products and were frustrated that they were hard to find. She told us to look for signs in the windows of gift shops saying ‘Owned by an Alaskan’ and look for Made in or Handcrafted in Alaska stickers on products. 3. Meet other people on the cruise and talk to them, you never know what kind of connections you make. I chatted with all of the other bloggers invited on the cruise as well as people we met along the way. In the back left of this picture is Patty and Mike and in the back right is my husband. 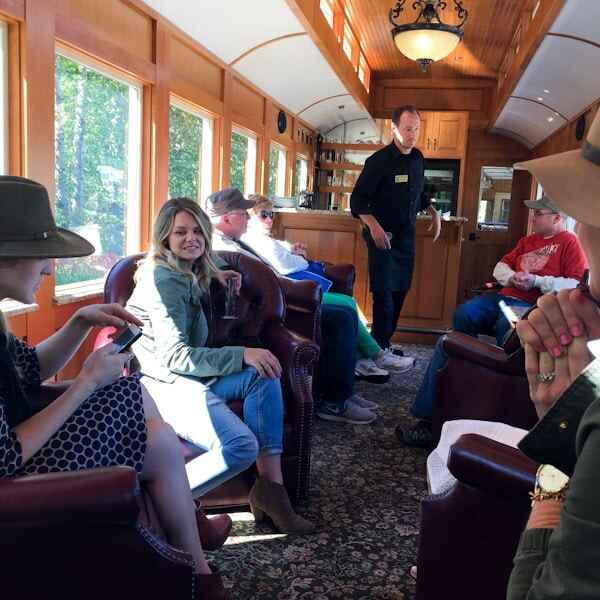 Pictured in the luxury train of the White Pass Train in Skagway (which was Curtis’ favorite excursion). A very nice couple who live in Ohio, we loved chatting with them. And funny thing is we kept running into them on the boat. We even made a point to try to meet them for drinks one day. I truly believe that the people we meet in our travels…touch us in so many ways and always have something to offer us, whether it’s perspective or something to teach us. Mike is a Vietnam War veteran (we eagerly thanked him for his service) and I shared my family story with him and Peggy. My parents came to America during the war. And it was really interesting to chat with him about that and about his travels as a salesman for 30 years. What an interesting and sweet couple, we’re so glad we met them! Curtis ate Alaskan crab on the cruise. I tried yoga. Curtis had an acupuncture session at the Lotus Spa onboard. I had a seaweed body wrap massage at the spa as well. Those were all first time situations for us. We also ordered more than one dessert some nights in the dining hall and oh yeah and we rode a helicopter for the first time too! It’s a cruise, it’s your vacation, a time to enjoy but I dare say it’s a good time to get out of your comfort zone and try something different, something you wouldn’t normally do at home. 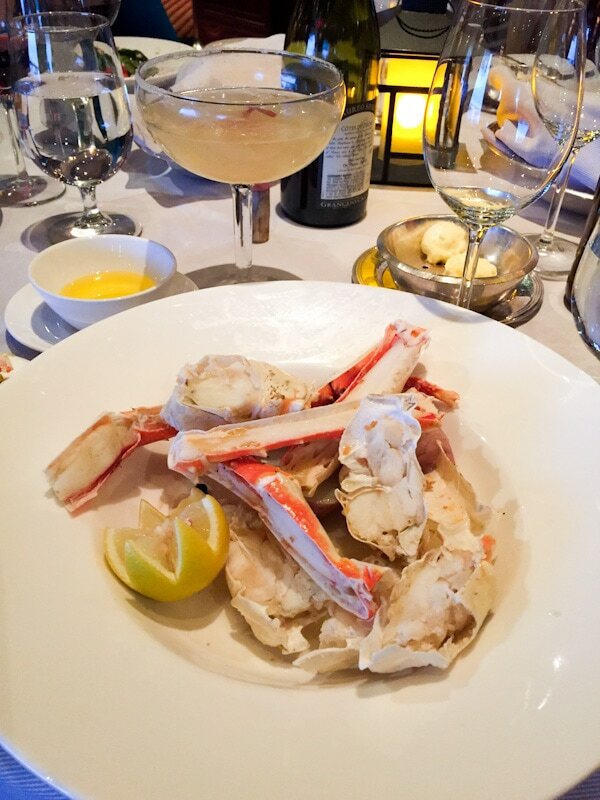 Curtis loved the Alaskan crab and I was left wondering, who took my husband and what have they done with him? Not a huge lover of seafood, I was shocked when he tried it and loved it. 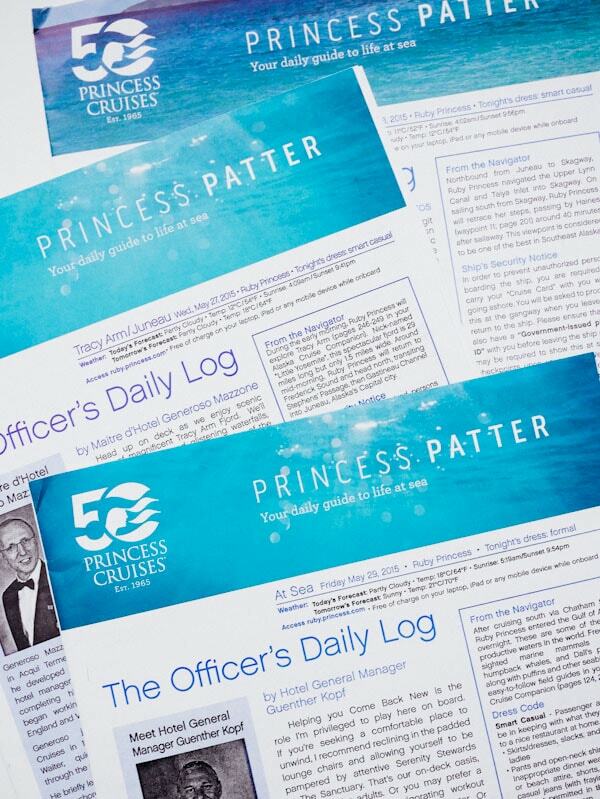 Every night during the cruise, they would put a little newsletter called the Princess Patter (so cute right?) in a little mailbox at our cabin door. I read it before going to bed to see what was up for the next day. 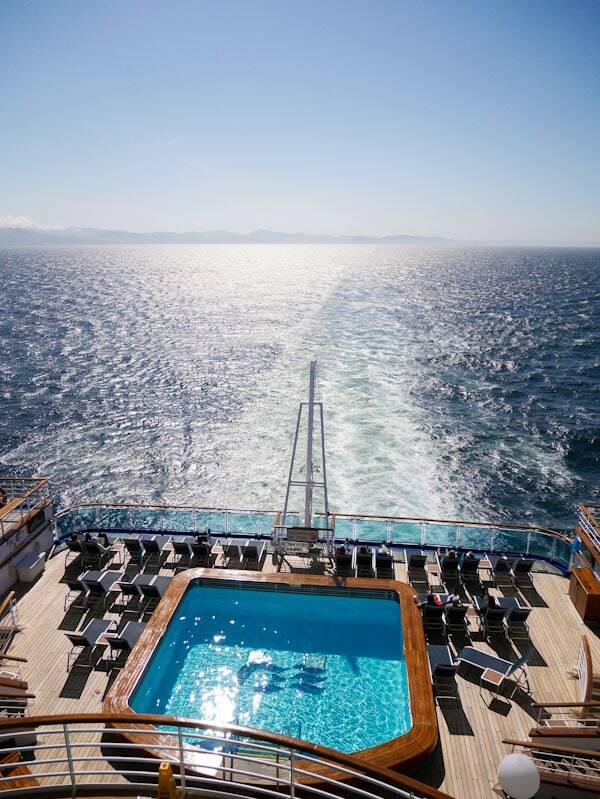 Things to look outside of our balcony for in the navigator’s notes and events on board. If I hadn’t read the Princess Patter, I would have missed that one of the sea days, it was fish and chips for lunch day! We enjoyed them along with the bread and butter pudding (above). Yum! 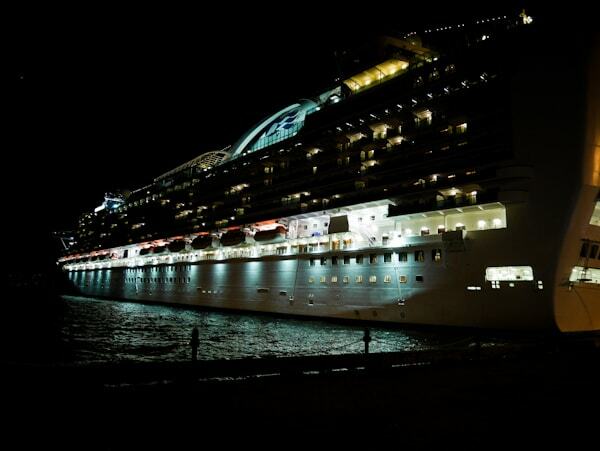 Do you have any tips you’d like to share for cruising? Be sure to check out the fives things I loved about the cruise as well as a recipe for a classic cheesecake! Wow! That looks like a really cool trip! I have always wanted to do the Alaska cruise. 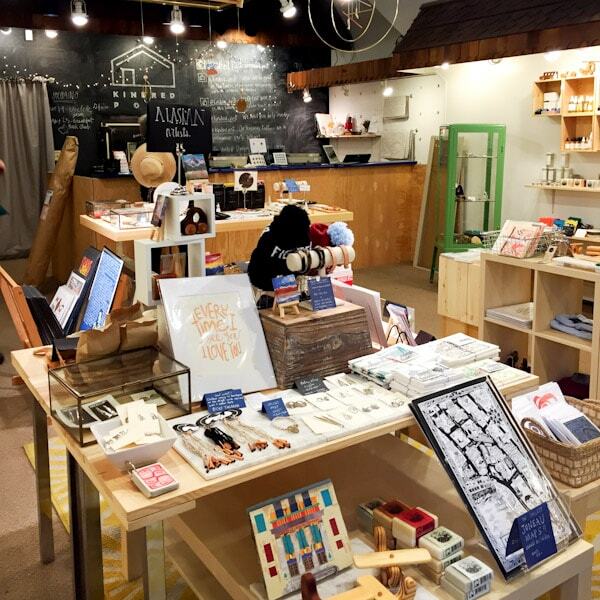 I too, love the adorable, more local, less touristy shops and places. That’s the best! Great post, thanks for sharing!! I’d love to go back to Alaska on a cruise. You are so lucky to be invited! We recently returned from our first cruise which we loved – a Baltic cruise with Princess. I endorse everything you said. We met the most unexpectedly interesting people too. 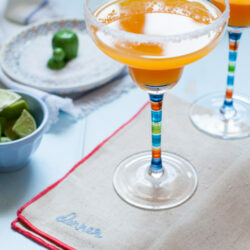 I’d also say don’t be shy to share a table at dinner – we had some great evenings that way. Great article! We went on our 1st cruise almost a year ago and loved it. I would agree with everything you said. In addition, I would find the community news board (on our ship it was in a pretty obscure place). There you will find some impromptu meet ups that will not necessarily be published in the ship’s newsletter. 12 Step Program meetings, spiritual groups, etc. put up posts and some of these are great to join.